Recently, there are many customers ask us about coal fired chain grate boiler. We found that they don’t have an accurate concept about DZL and SZL boiler. They are our two types coal fired boiler. Next, i will help you to distinguish them. DZL type boiler is a horizontal three return fire and water tube type boiler. There are two fire tubes in the boiler barrel , with both sides light pipe water-wall tubes; the chain grate which can feed coal by stocker/ and is equipped with drums, induced draft fan realize mechanical ventilation. Fuel from coal scuttle fell to grate stoker, along with the chamber into after burning, smoke after the upper chamber after arch, the smoke pass through behind of combustor, through up the combustor into the first tube bundle then get front smoke box ,then through the front smoke box into the second tube bundle then get to back smoke box , finally through the induced draft fan smoke the introduction into the flue, dust catcher and the chimney, the last row to the atmosphere. The boiler automation level is high, boiler water supply the automatic adjustment, high and low level alarm, low water level interlock protection, lead, blowers interlocking protection. Coal fired boiler, slag discharge operation mechanization, supporting auxiliary engine is complete. 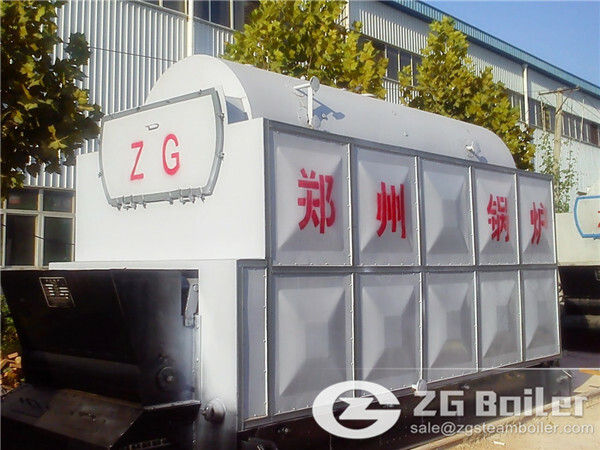 SZL horizontal double drums coal fired hot water boiler is the double-cylinder, water-tube assembly, chain grate boiler. Two cylinders are laid at the upper and lower level of boiler longitudinally along the center. Front section of the upper cylinder and water-cooled tubes at side walls form the radiation-heating area in the hearth. While the rear section and tube bank in the lower cylinder serve as convection-heating area, the coal economizer is mounted at the rear of boiler. Some heat of hot combustion fume is absorbed by the hearth, then hot combustion heat flows to the convection heating area through cooling chamber and exhausts outside through the chimney via coal economizer, dust collector and draught fan. 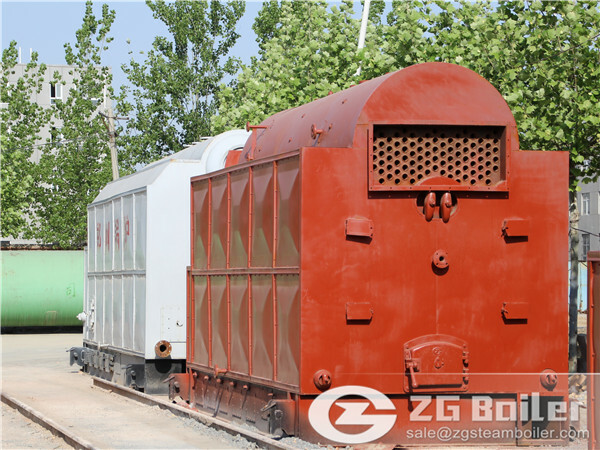 After reading this article, i hope you can make a distinction between SZL coal boiler and DZL boiler. If you have another question, please don’t hesitate to call us.